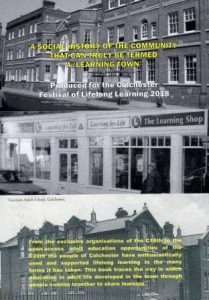 Our latest publication – The story of Colchester’s lifelong learning legacy – Georgian times to the present day. 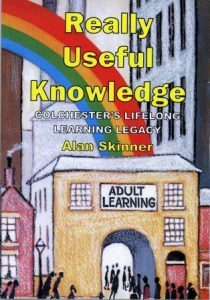 From the exclusive organisations of the C18th to the open-access adult education opportunities of the C20th the people of Colchester have enthusiastically used and supported lifelong learning in the many forms it has taken. This book traces the way in which education in adult life developed in the town through people coming together to share learning.